Firstly I have to make a disclaimer, this is a story based in Birkenhead, Merseyside, a place I know very well as I was born just a few miles away. So I had to jump at the chance to review a book finally from my home. 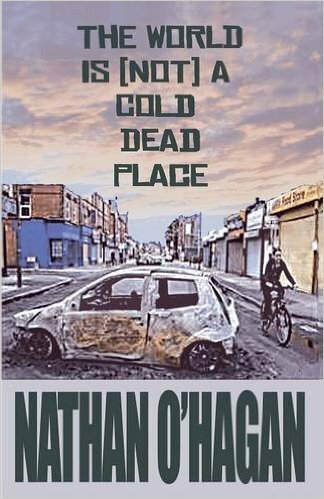 I have the chance to read and write reviews for some truly outstanding books, sadly there are some that never get to this point, I am delighted to recommend The World is (not) a Dead Cold Place by Nathan O’Hagan. Is it possible to laugh and cry and at the same time feel a somewhat homesick. Yes this was me. 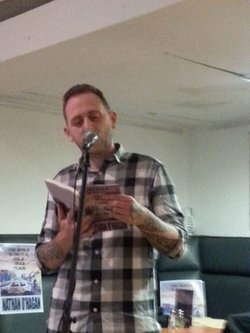 Gary Lennon is a man that has become disaffected with the World we all know and suffers from OCD as well as other psychological conditions. Gary shuns contact and has shut himself away with no job living off benefits so there is no real contact with the outside world. Basically he has cut himself adrift from society in general. We get the opportunity to enter Gary’s world and follow in his footsteps as he ‘very briefly’ ventures into the outside world and the occasional brush a fellow citizen. For Gary it is bad enough going outside but it gets worse he has to have meetings with Brian his therapist. So by now you should be getting the picture of Gary’s world. So when Brian decides it is time Gary braves the big wide world and trying to get him off benefits and into work, imagine how scary that is. Now imagine getting a job, wait for it. In a call centre surrounded by all sorts of people let alone being harassed by his team leader. Some of the moments in this story are immensely funny, so when Ruth starts to sexually harass Gary you can imagine how his world goes. So what becomes of Gary and the world in which he inhabits? No I am not going to divulge. That would spoil it. The World is (not) a Dead Cold Place has everything even moments of immense heart-warming moments. This is not just a story it is about modern life the world in which we all live. You must read this for the moments of pure joy and occasional sadness. But you will come to love this and many will re-visit at a later time. After spending most of his teens and twenties in various unsuccessful bands, Nathan eventually turned his hand to writing. In 2013 he self-published a short fiction collection, “Purge”. “The World Is (Not) A Cold Dead Place” is his first completed novel, though he has since completed one more and is in the early stages of a third. He has also written a screenplay and and another series of short stores which he may self-publish in the future. He regularly writes features and reviews for the online fanzine God Is In The TV. Nathan grew up on Merseyside, rarely venturing away other than a brief stint in Carlisle. He now lives in Northamptonshire with his wife and two children and works full time for the NHS. Posted on October 26, 2015, in Armley Press, Nathan O'Hagan, The World is (not) a Dead Cold Place. Bookmark the permalink. Leave a comment.